Updated Monday March 25, 2019 by Lafayette Generals Football. Every successful athletic program depends heavily on the support of alumni, local businesses and the surrounding community. Lafayette is no different. The Lafayette High School Football Booster Club invites you and your company to become a Corporate Sponsor for the 2019 season. We have many needs throughout the season that you can assist us in meeting either through financial contribution or the donation of goods and/or services. There are many benefits to your partnering with us in this endeavor, none greater, though than knowing you are participating in grooming our future workforce and future leaders. Please review the attached information as it describes the sponsorship benefits of each package. 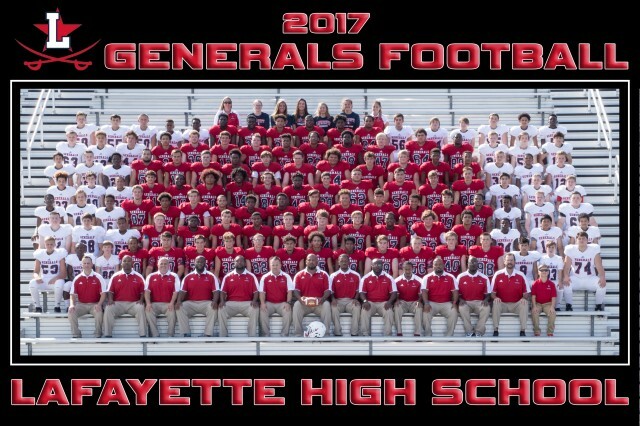 We trust that you will choose to support the Lafayette Generals Football program for the 2019 season. Not only is this a great way to advertise and market your business, but it is a TREMENDOUS opportunity to help these young men.